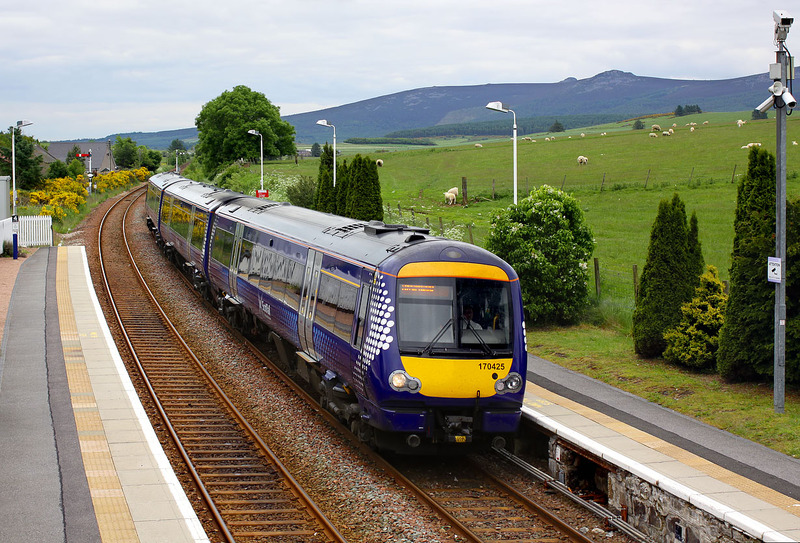 170425 arrives at Insch station on 25 June 2013 with the 1H33 13:38 Aberdeen to Inverness ScotRail service. The station is situated on the extreme edge of the village, and as can be seen here the fields come right down to the platform. There were several rabbits wandering around the platform while I was there! This is the start of a short double track section on what is otherwise a single track route.